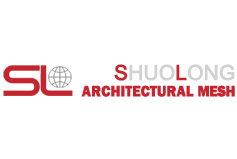 SHUOLONG is a fast developing company. 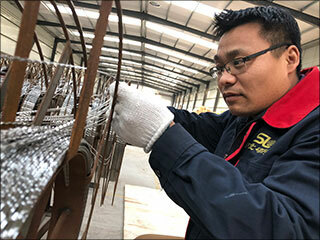 After years experiences,SHUOLONG already achieve a professional architectural wire mesh production and service system , under the upgrade skill training, each member of SHUOLONG gets a fast development. 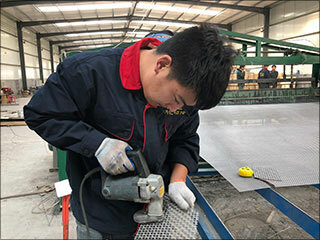 All SHUOLONG people believe in that we are not only a manufacturer and supplier of woven metal mesh, the more important thing is we are the team member of our customers. We should and we must do the best to exceed customer’s expectation and product usage to walk longer together with our partner. 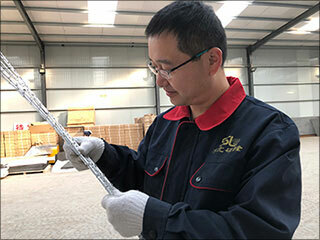 everyday,every order,the most excited thing is to test qualified product for our customer friends. The most warm heart words is pleased " Well Done". Be thankful for each customer's trust. As a QC for 7 years, I believe quality is the important point for company development. Let every buyer no worried, that we should do. I love my job , I will do one thing at one time, and try my best to do well. 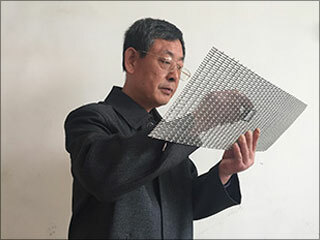 Mr. Lian, mesh weaving engineer, the founder of Xiangyi Wire Mesh Factory which is Shuolong's parent company found in 1997, do mesh weaving production 42 years. Obtaining simultaneous control of deadlines, quality and costs in an efficient and productive manner. Attention to details to ensure quality. Our goal is becoming a hundred year enterprise, SHUOLONG will be responsible for every customer. I always work on the front line with my partners, to ensure the normal production of each order,reduce defective products and losses is my duty.